Ikebana is one of many practices that cause me to look differently at my world. 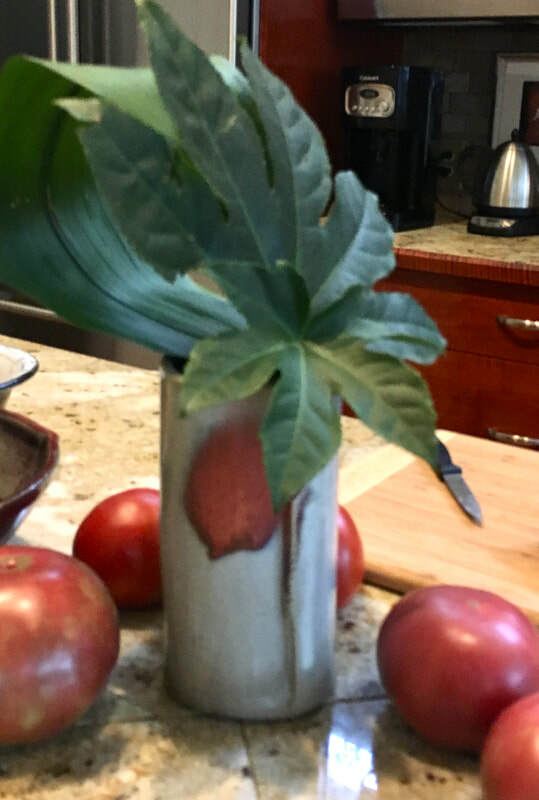 I stroll about our garden with fresh eyes, now that I’ve learned a few new techniques for manipulating plant materials. I see containers in my home as shapes, colors, forms, and think of how they would look as part of an arrangement. For a couple of hours, I forget the studio and putter. Every season is celebrated with a form of Ikebana. The fall might inspire a harvest arrangement for the kitchen. The winter, bare branches or winter berries, or maybe evergreen boughs. Spring is a temptation to excess, and summer’s a lazy perusal, maybe a hiatus here in the south. I look at my home in a fresh way after I’ve made an arrangement and look for a place to appreciate it. ​ Workshops always emphasize learning technique over the end product. ​ Imperfect conditions abound, which is a good thing, if you think about it. But still this group produced some beautiful, very individual paintings. I enjoy seeing how a group of artists will use the same materials and canvas to interpret the same subject so differently. Each person’s brushwork is like handwriting, his or her color sensibility unique as a thumbprint. This appeal to beginners, especially, is the reason I decided to offer my workshops with all materials included. The idea of spending almost $300 buying everything new from my materials list is a daunting prospect. I recently attended a weekend silver soldering jewelry workshop at the Mobile Museum of Art, and a big reason I went was because all supplies were included. By late Sunday afternoon, I had made a clumsy hammered silver link bracelet. I met nice people and think of our conversations over lunch whenever I wear it. What I also learned was how much work is involved in creating such a simple thing. And how to make my own jump rings, which I did later for my charm bracelet. And that paying the jewelry store $10 each to supply the rings and solder them closed is really not a bad price. But I won’t buy all the tools on the supply list and I won’t start making silver jewelry. So the real product was a learning experience and an appreciation of a process that will change the way I look at handmade jewelry forever. I think this is a perfectly fine reason to take a class. Workshops tend to be expensive on the face of it. But behind the scenes, I spend hours preparing reference photos, a slide show, writing (and endlessly editing) my handouts for clarity, simplicity and accuracy. I create a trial-run painting that alerts me to the best way to break down the steps to complete a painting in two days. What to do and when is often a mystery to students who admire a painting and wish they could create something of their own. So it’s important that I’m clear about the process. Besides these preparations, there’s time needed for communication with all the folks who have opted into my mailing list to be notified of the workshop, plus follow up to inquiries. I must create a good, short description of the class for my mailing. Besides informing potential students, this helps me clarify exactly what I want to focus on. I’ll decide on the venue for the class and prepare that too. This last go-round, I decided to include materials in the class fee. It has added hours to the prep time. But in the past, I’ve been frustrated with the variety of materials art store clerks have assured my students will be “just the same.” They never are. Having everyone using exactly the same mediums, canvases and paints helps us all. So does working from the same photograph. I am always surprised by the variety of expression and focus my students bring to class. It becomes even more clear when we are all working from a standardized set of materials and references. The extra effort is worthwhile to me and we learn so much from each other. This individual hands-on instruction thing is a crucial part of art training. It saves time, shortens the learning curve, and saves materials from being wasted. All this said, however, sometimes it is just out of reach, financially. For that person, I will consider a scholarship assist and provide materials. This is how you contact me for that: info@susandowningwhite.com. YouTube is a great resource and I’d like to make and share a video of my own there in the near future. It’s a good way to reinforce class skills, though I notice many of the videos seem to be very short segments. Sometimes, the videos are teasers before the ask to sign up for a class. l have no problems with that. But the downside to videos is there’s no immediate, hands-on feedback: no teacher checking your brush angle, application technique, paint viscosity, etc. I like to circulate constantly in my classes, to catch these potential stumbling blocks before they create a problem for my students. Hands-on instruction has the advantage of personalized attention. It is possible to tailor a comment to the student’s level of experience. This requires mindfulness on my part and close observation to details. Little things—like angling the easel so it is in good light but not glare, being sure the painting is adjusted to the right height—make a difference in how easy it will be to apply paint. I especially enjoy working with beginners, there are usually no bad habits to overcome. But this is where good instruction is especially crucial and can make a learning curve a bit less steep and less long, saving time, frustration, and expensive materials. After every workshop, I am alternately buzzed by the experience and busy thinking of ways to improve the experience for my students. I always try to get a good night’s sleep the day before, drink plenty of water, have my coffee and eat some avocado toast on good crusty bread. I do a short yoga stretch and say a prayer that I may somehow meet the needs of each person who has trusted me with his or her time, an investment of cash, but most of all the hope that they will take home with them something will enhance their life. In class, I see beginners who may only want to know more about the paintings they see in museums and galleries and have a hands-on experience. I love their spirit of adventure. They come, ready to explore and are completely unattached to outcomes. There are often retirees who always wanted to paint and finally have the time. They come with life experience and are mostly pretty relaxed. 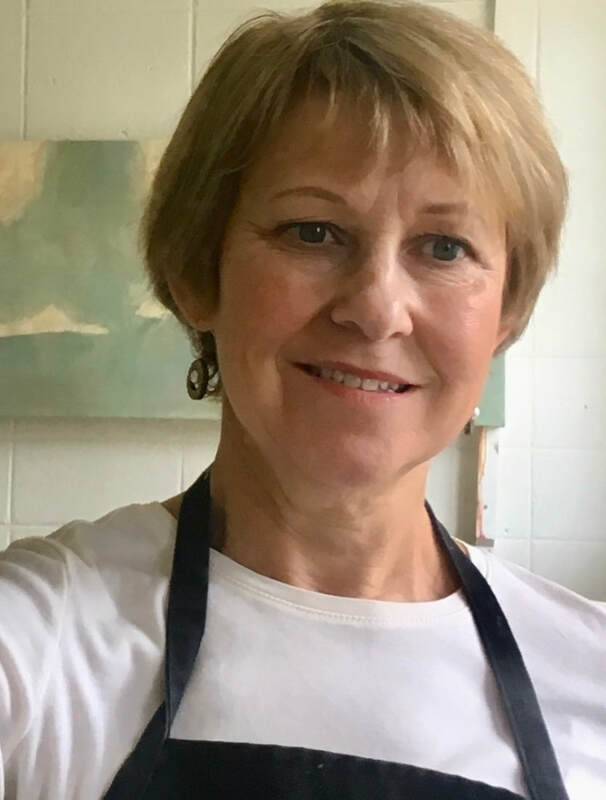 They are lovers of painting—true amateurs—who come to learn a new technique or seek to demystify a part of the painting process. I learn so much from them. I see young mothers who need to claim some time for themselves. I can relate to that—after my son was born, my mother-in-law treated me to an art class. I hadn’t realized how I had been sinking until I returned to painting. I’ve been focusing on non-toxic art materials in class partly because of my fears in those days that fumes might do some harm to my child. There is so much available now that I didn’t know about in those days. Everyone comes to class with a wish. I do too. I waited until I was fifty to start teaching. I figured by then I might have something to offer, enough confidence in my opinions about how teaching should be done, enough confidence in my technical skills to stand in front of a class and demonstrate. I never figured on having a stroke at age 47 that left me with an impairment in my dominant right hand and the necessity of learning to paint left-handed. But the embarrassment I sometimes feel maybe helps me understand a student’s self-consciousness. I need to think such things. My reward is seeing each student, with his or her unique sensibility, take my instruction and end up with a painting that is a surprise to both of us. It never fails to light me up. Massage with Goop or GoJo, then a gentle warm water rinse. Then gently tuck the babies into a folded square of shirt cardboard and clip. ​The clips hang on cup hooks fastened to the apron of my painting table, till Monday. ​Once fall arrives on the coast, we see subtle changes in color and light. Explore these changes with me in a two-day oil painting workshop. In this class, you’ll learn techniques used by Dutch landscape painters of the 17th century. Because these painters mainly worked without benefit of artificial light, they needed to be efficient and make the most of fleeting daylight. The expedited working method you’ll learn can be adapted to plein air painting as well. We will use non-solvent-based mediums and cleaning fluids, such as spike oil of lavender and walnut oil. You’ll leave with a completed sky painting by the end of the second day. Beginners are welcome. Class is limited to six students. If you’ve taken one of my classes in the past, this will be a slightly different approach to painting skies. The class will combine art appreciation, some geeky info about skies and materials, as well as technique. Materials, instructional handouts, and a list of supplies used in the class are included in the class fee. Bring your own lunch and a smock or apron. Fee is $ 275. Monday and Tuesday, November 5 & 6, 9 am - 4 pm, with a break for lunch. 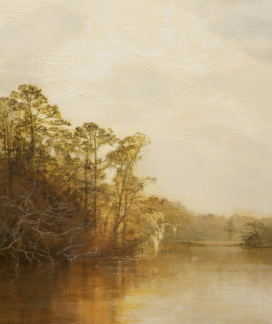 Alla Prima means “all at once,” and is the preferred technique for working outdoors, en plein air. In this class, we’ll explore it’s use as a way to create either a painting that can stand on its own or can be enhanced by later application of transparent color. We’ll use alkyd white and Liquin alkyd resin mixed with our regular paints to accelerate the drying time. This will allow us to enhance colors with glazes and add details on the second day. This class will expand on my Indirect Method painting classes. Our goal is to create a colored underpainting that can be glazed when dry, to further enrich the colors. We’ll begin on a toned canvas, or imprimatura, that suggests the gradations of a blue sky and a ground plane. This is done in acrylic paint. While that’s drying, I’ll do a demonstration. We will explore mixing grays for cloud shadows, as well mixing other colors to use in the painting. We will discuss “color logic” in a painting too. Everyone will use the same photograph. I’ve found this to be helpful in quite a few ways. Though we start with the same image, each student’s work is always unique. It’s always fun to see how we interpret the same scene, and it helps us learn from each other. Ashland Gallery will have various frames available to purchase, though that’s optional. It’s always fun to see how a frame enhances a painting, and how different moldings seem to complement individual painting styles! This is a real advantage to holding the workshop at Ashland, besides the easels, snacks, coffee and the friendly support of the folks at the gallery. The supply list can be found under the tab "Class Information" at the top of this page. Day 2 will finds us mixing color glazes and applying them to the dry underpainting we created on Wednesday. 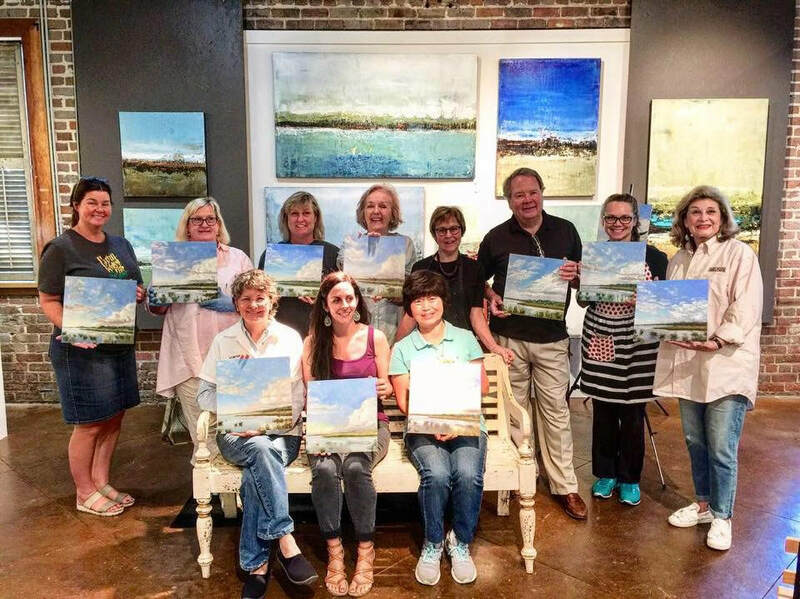 We'll cover: palette management, proper paint consistency for a glaze, application of glazes, and color logic in creating a color theme for your paintings, as well as exploring mixed grays for cloud shadows. We'll put finishing touches to our paintings with opaque paint using the scumbling technique.